Here are links to some of our partner websites, governing bodies and information relating to human resources, employment law and the nursery sector. Ofsted – The governing body for nurseries in the UK. Moving a nursery from satisfactory to outstanding – advice from Ofsted. AE in a box – Everything you need to prepare & comply with Auto Enrolment in one place. DDC – Our DBS checking partner. CIPD – The professional body for HR and people development. Web design by Splendid Apple. XML Sitemap. 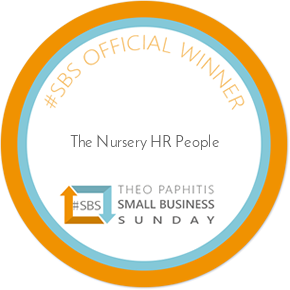 Our HR application is always free for one employee in one nursery. Forever! Are you struggling to manage time effectively? Download now to learn how you can free up more of your time whilst delivering outstanding results in your nursery.